Tonight when you lay your head on your pillow, forget how far you’ve got to go, think instead of how far you’ve already come. 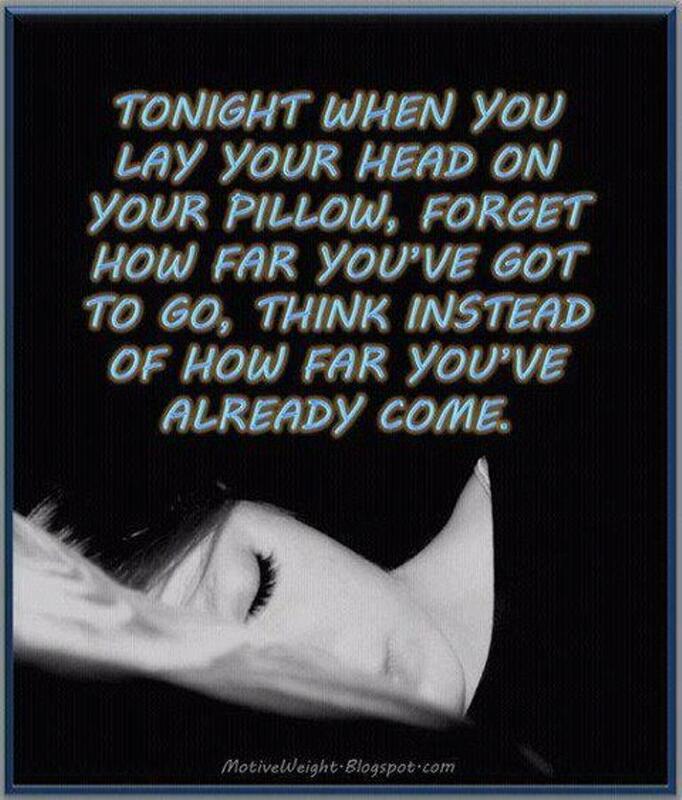 Quote : Tonight when you lay your head on your pillow, forget how far you’ve got to go, think instead of how far you’ve already come. This entry was posted in Quote on August 7, 2014 by narongt1979.